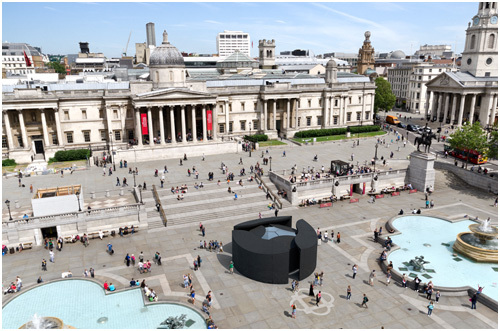 Imagine an alien, rubberized structure in the middle of London’s best known square – Trafalgar Square – and you have this BE OPEN Sound Portal. The design is one that you can’t see, but must sense. Designed by Arup with Sound and Music. 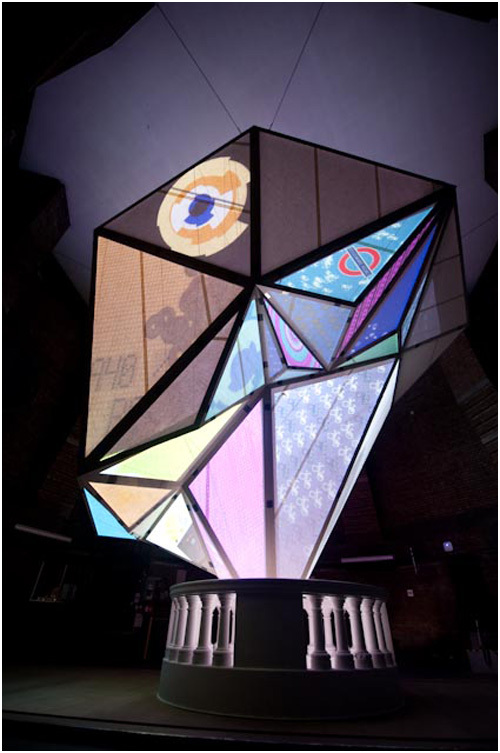 London-based designer, digital artist and film-maker Keiichi Matsuda was commissioned to present this digital installation, which provides an alternative view of London through the many faces of a lantern-like prism with live data projected onto these surfaces. This is a free event, but tickets are required. Go to Veuvecliquotprism.com to book tickets. Open 14-23 September from 10:45-16:30 daily. 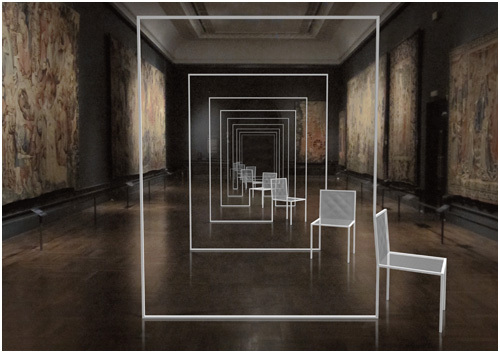 Japanese studio Nendo (as we feature often) created a series of mini-installations throughout various areas of the V&A, starting with a single Mimicry Chair at the entrance. 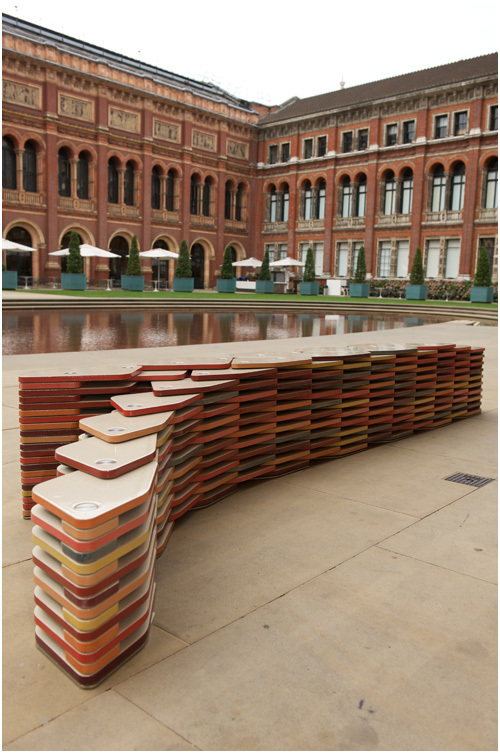 These chairs have been rearranged to complement the spaces for which they were intended for. To see more photos of these projects, check out the full album on our Facebook page.